Do humans have souls? Do they transcend our physical bodies? 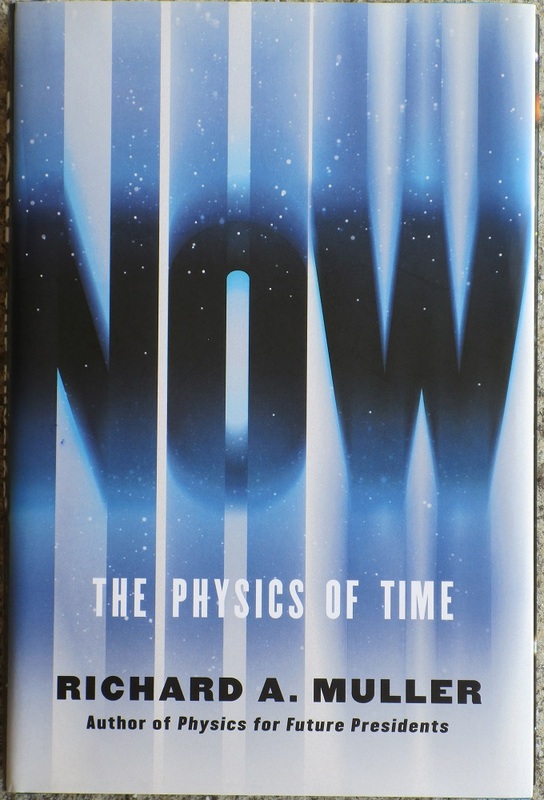 Why does Richard A. Muller spend a significant fraction of the text of this new popular level book about the physics of time discussing this? The answer seems to simply be that the question of whether he has a soul is one that is dear to the author’s heart. I’ve tried to figure out if there is any link between this subject and the main purpose of the book but I failed. The primary purpose of the book is to introduce a new and still speculative theory of Muller’s that our sense of ‘now’ and of our involuntary ‘motion’ along the arrow of time is a result of new time being created moment to moment. We ‘travel’ to this new time and occupy it as it is created, and the old time becomes the past. The future really does not exist, as it is not yet created. I like the idea. It feels right to me, and Muller proposes a few thoughts about how his theory might be falsified. But it is early days—way too soon to tell whether this or alternate hypotheses might be the path to better understanding the mystical and perplexing nature of time in our reality. Muller is an experimentalist, and he repeatedly insists that theoretical physics—manipulating equations using advanced math—is a waste of time unless the resulting theory is rooted in the physical world in such a way that it can be tested. Indeed he gets rather curmudgeonly about it in places. His belittling of 1933 Nobel Prize winner Paul Dirac is rather unbecoming and speaks more about Muller than Dirac. Setting that aside as an anomaly, or as hasty writing and editing, I found most of Muller’s book a fascinating read. 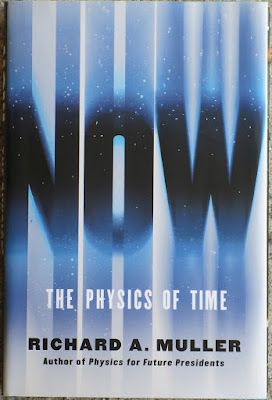 It carefully develops and clearly explains the physics relevant to our understanding of time. Einstein’s relativity is explained and the subsequent development of quantum physics and its various interpretations are explained well. Then in Part IV of the book he goes on this strange walk-about into ‘not-physics’. I call it that because that is really his point. Things that are ‘not-physics’—not science—are real and are important. Despite the disconnect with the rest of the book, it’s a point worth making, and I’m glad he made it, and I guess I understand why it’s in this book. If Muller had written a book devoted entirely to his untestable beliefs and perceptions (his favorite example is “what does ‘blue’ look like?”) nobody would take it seriously, and probably no publisher would even consider it. At least this way he gets his message in print. I agree. Muller argues that there is a huge body of knowledge that is not testable, but which nevertheless guides us successfully through our daily lives. (‘My boss hates chocolate’ is an example of such knowledge.) The target audience of his argument is the not inconsiderable group of physicists who ascribe to Physicalism/Reductionism—the idea that there is nothing real beyond what can be observed and characterized using science. I guess if there is a connection between his beliefs and Physics it comes from the fact that science has proven that some things cannot be observed and characterized, even in principle. He runs with the idea that reality is not amenable to logic or experiment (for example, the delicious paradox that there is no such thing as simultaneity of an event to different observers and yet quantum fields collapse instantaneously everywhere in the observed universe, to use an example relevant to the rest of this book) and uses it to justify injecting unprovable belief systems into that void. Such as believing that he has a soul. By ‘soul’ Muller specifically means the “I” that processes and acts upon physical inputs to the body—the ‘location’ of the mind. Muller has a peculiar fear of Star Trek style-beaming, or cloning. He asks “would the re-assembled physical body be ‘me’”? I find this odd, given that, as he points out, our current body consists of almost no atoms that we were originally made of. I think where he went wrong is thinking that the “I” is somehow sacrosanct. I believe that I would be a different “me” if I drove to Cleveland vs. if I didn’t. That brings up another point that Muller insists on. He is convinced that humans have ‘free will’. Personally, I think exercising my free will by choosing to drive to Cleveland tells all that needs to be told. No, seriously. Free will is not an absolute. We have choices, but we are denied most that we might imagine and many more that God might have. Regardless, I have no true objection to Muller’s beliefs, or to his inclusion of them in this book. From my perspective, that void of logic stands at the very core of reality and defines it. The universe, via its Big Bang, has emerged from it as an island of simple objective rule-following processes, but they are not fundamental, and physicists are now finally beginning to realize that. Life emerged as an island of self-replicating, self-preserving information (DNA), but it is no more fundamental than the universe it happens to find itself in. Its massive complexity does seem amenable to effectively tapping into the ‘free will’ fountain flowing from the quantum field. The emergence of useful information out of incoherent, indifferent uncertainty is what life does best. And that achievement is worth celebrating—worth formulating any number of religious beliefs around. But outside of our safe, limited realm, in the incomprehensible chaos of the vacuum, it is Paradox that rules supreme.